Genetic variation can influence one's susceptibility to environmental exposures, causing certain individuals to respond differently to the same exposure, and potentially contribute to differences in disease risk within a population. Understanding and communicating the effects of gene-environment relationships on human health is a key challenge, and Gradient's expertise in epidemiology, genetics, toxicology, and risk communication provides a strong foundation for critically evaluating the role of gene-environment interactions in risk assessment and litigation contexts. Goodman, JE; Petito Boyce, C; Pizzurro, DM; Rhomberg, LR. 2014. "Strengthening the foundation of next generation risk assessment." Reg. Tox. Pharmacol. 68(1):160-170. Prueitt, RL; Bailey, LA; Goodman, JE. 2011. "Nature vs. nurture? 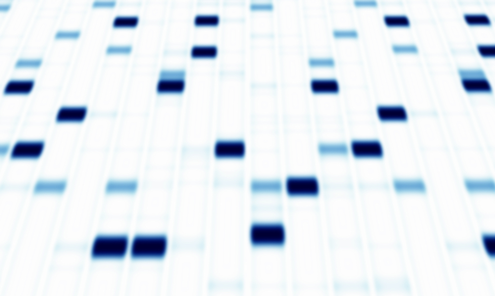 A challenging question for risk assessors in the age of genomics." ABA Science and Technology Committee News 7(2):13-15. As part of written and oral comments to US EPA regarding the National Ambient Air Quality Standards for particulate matter and ozone, Gradient evaluated whether people with certain genetic profiles may be more susceptible to adverse health effects associated with these air pollutants. Gradient evaluated the evidence for the effect of caffeine exposure on induction of variants of the gene for a metabolizing enzyme (CYP1A2) in humans and whether induction of different variants by caffeine could confer potential susceptibility to cardiovascular disease. Gradient critically reviewed global gene expression profiling data for a population exposed to benzene to determine whether the expression profile could be used as a biomarker of benzene toxicity in a broader population without knowledge of benzene exposure from a specific source. Gradient critically reviewed US EPA's 2013 report on potential uses of NexGen toxicity testing methods for assessing risks associated with chemical exposures. These methods include high-throughput screening of alterations in gene expression and the resulting effects on biological pathways, as well as analysis of gene variants that influence human susceptibility to disease. The interactions between genes and the environment can be an important factor contributing to differences in disease risk within a population.